The 2014 High School Jamboree is just around the corner. Join us June 28 in the Stata Center in Cambridge, MA, USA. See the deals our partners are offering to teams! 1000 bases for under $100! Check out the new design for the Giant Jamboree page! Hotel deals and more information is now available! Interested in sponsoring iGEM 2014? Find the Sponsorship & Exhibition Opportunities for the Giant Jamboree on our Sponsorship Page. Interested in our Registry but don’t know where to start? This newsletter can help you expertly navigate the Registry’s 20,000+ parts! All registered iGEM 2014 participants have been shipped the 2014 DNA Distribution Kits containing over 1000 high-quality part samples. Whether you’re new to iGEM and the Registry of Standard Biological Parts OR an experienced participant, please make sure to read through the 2014 Distribution Handbook, where you'll find important changes to this year’s DNA Distribution and information on what to expect and how to use the kit. The Registry is always getting better! We’ve made some changes to the Registry software and the requirements for creating and documenting parts, so we’re also updating our documentation and educational resources. The Registry help pages and the Registry-at-a-Glance page are great places to start for all iGEM teams, veteran and new alike. If you are not able to find the answer to a question on the Help pages, send an email to hq@igem.org. As you begin work on your project, you will need to use the Registry to add and document your standard parts; before starting, take a look at the tutorials for adding a Basic Part and adding Composite part. Assemble your parts the way you want! The Registry supports several Assembly Standards, and teams can use the assembly methods and techniques of their choice when creating their new parts. Just remember, part samples submitted to the Registry must be BioBrick compatible and in the shipping plasmid backbone, pSB1C3. This ensures that the Registry can maintain and test all new parts in the same way and Registry members can easily and reliably use and assemble these parts in the future. Standard parts make moving a part from one backbone to another easy. You’ll need to find the parts that are relevant to your project, and there are a few different ways to do that on the Registry. The Registry’s Search Tools will let you find parts by search query: you can do a text search, find what composite parts contain a part you’re interested in, do a Google Site Search, and more. The Registry’s Catalog organizes the available parts by various criteria including part type, chassis, submitter, etc. We’ve also put together collections of interesting parts in our Collections page, as well as the Most Used Parts and Highly Documented Parts on the Registry. ERASynBio is pleased to invite applications for the iGEM 2014 Giant Jamboree registration credit! For more details click here! To check part availability and more, look at the part status box! The Part Status Box appears in the top right of every part page. It provides a summary of a part's status in the Registry. Part Status based on the completeness of its documentation and characterization. Experience status for a part. Uses or amount of times the part is specifiedin composite parts in Registry. Get This Part shows the location of a sample in the current distribution or Repository. For more details see the Status Box page. 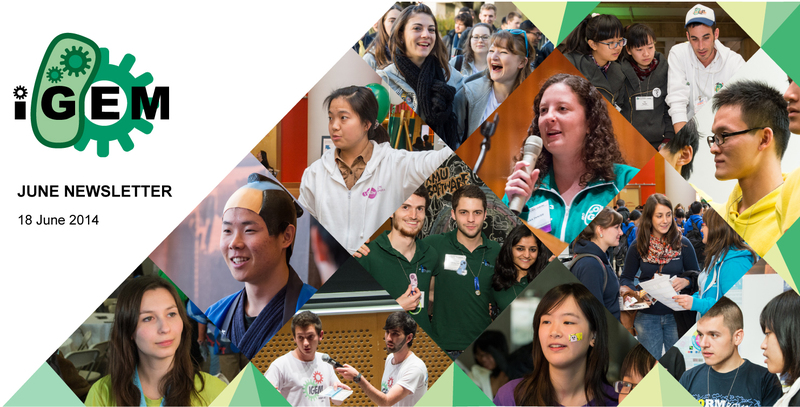 Teams from every track are invited to participate in the first iGEM interlab study! Participating is simple: just build and measure 3 simple constructs and see how your measurements compare to different teams in different labs all over the world. Email us at measurement@igem.org to sign up (deadline: September 1st) and visit the Interlab Measurement Study page for details. Please consider making a donation.